NEW YORK – When Marvel Comics announced that they would be transforming Thor, one of their most popular and masculine heroes, into a female character, the response was swift and hostile. According to the mythos behind “Thor,” even to lift – much less wield – the enchanted hammer Mjolnir, and thus lead Asgard, the magical weapon’s bearer must be “worthy.” Precisely what that term means has been a long-standing subject of debate in the world of comics. Fans anxious to preserve the pleasure of suspense by tackling the latest adventures in order – they’ve just been compiled in hardback and for digital download – should therefore read no further. They’ll find what follows an outright spoiler. Grown readers may also discern Christian cultural elements in Jane’s story. Clothed in her armor, for example, Jane inevitably recalls Joan of Arc. And Jane’s elevation to the status of a victorious – as well as virtuous – warrior, despite her besieged physical condition, honors the idea that faith and character are more important than raw power. Dauterman also skillfully conveys the outsized dimensions of a world like Asgard. Before the dreaded frost giants actually appear, for example, only parts of them can be glimpsed – as though their figures were too vast to be contained by a mere comic book panel. At their best, Marvel’s relatable characters invite us to share in the giddy, disorienting feeling of being a regular person suddenly swept up in transformative abilities. 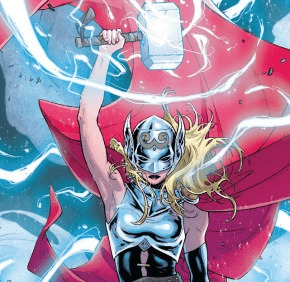 In that respect, Thor’s feminine successor represents a continuation of – not a break from – tradition. The comics contain scenes of stylized violence and a mature medical theme. 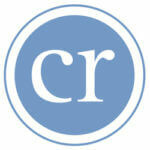 The Catholic News Service classification is A-II – adults and adolescents. The Marvel rating system rating is T+ – Teens and Up – appropriate for teens 13 and above.